PC anti virus software for 3 computers. Kaspersky Lab is a leading developer of security software. Kaspersky Lab has consistently proven its ability to deliver the highest malware detection rates and fastest response times to new threats. Our user base (which exceeds 300 million systems) gives us high visibility of new threats as they emerge, and huge insight into what protection is important to our customers and what they expect of us. Kaspersky Lab has the infrastructure, systems, know-how, and technology to deliver large scale malware protection. Cyber criminals invest heavily in malware producing up to 30,000 new threats every day. As cyber criminals become increasingly expert at writing and delivering malware, Kaspersky Lab is very well placed to offer long term protection. With 30,000 new threats a day, cyber criminals continue to increase the quantity and variety of threats used to target your PC and personal information. Daily, Hourly or even 15 minute pulse updates are no longer enough to assure protection; even though they can reduce the performance of your PC. Kaspersky's Urgent Detection System (UDS) is the real time – low interference answer to this problem. the software uses real-time reports from over 1 million customers on the Kaspersky Security Network to build comprehensive databases of safe and unsafe software and internet sites. Mal ware authors mostly fall into two categories the first being cyber vandals who's only intention is to manipulate with the contents of your PC to demonstrate what they can do so, their motivation is often peer status and fun. In quantity terms these are massively outweighed by cyber criminals who are in business to make money out of exploiting electronic vulnerabilities to steal your private and financial information. One thing that both of these groups have in common is that from time to time they will damage the contents of your PC, sometimes to make it more difficult to work out what else they have been doing. As well as damaging your information this may have an impact on your PC's performance by slowing it down, and blocking/hiding/moving PC facilities etc. The software offers unsurpassed protection against malware interfering with your PC and your information. 4. 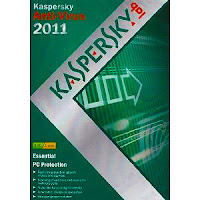 Kaspersky Anti-Virus (KAV) makes it easy to protect yourself. 20 years experience fighting cyber crime and cyber vandalism and protecting over 300 million customers has given us the expertise to consistently deliver outstanding detection rates and response times – and understand our users needs. KAV 2011 has a new installer which makes it far easier to set-up on your PC. It also gives customers a choice of 2 interfaces, the standard interface allowing detailed control of your security and the Kaspersky Gadget – a simplified tool which allows users to quickly carry out the most commonly used tasks. Users can elect to automatically perform updates for newly identified threats and install new software to ensure they are using Kaspersky's latest know-how to fight emerging malware. Kaspersky Lab has a well deserved reputation for fast software security whilst preserving your PCs performance. Whilst other AV manufacturers are making progress, none have surpassed Kaspersky Lab's raw software performance. Kaspersky Lab take a more intelligent approach to managing the balance between software security speed and PC performance, we have added options such as scanning when PC is idle and Kaspersky Lab's Game Mode suspend alerts, updates and scans while you play. Many of our first time customers buy the Anti-Virus to fix problems left behind by previously inadequate protection. KAV now makes it simpler to remove stubborn third party security products during the installation process. Also if the installation process fails due to viruses and malware already on the PC, Kaspersky Anti-Virus will abort the installation and initiate Kaspersky AVP which will perform a thorough clean down of the infected system preparing it for a clean install. In the rare occurrence that newly emerging malware can sneak through even the most advanced security protection. Kaspersky Anti-Virus constantly polices the behaviour of your PCs software identifying patterns of malicious behaviour which could damage your PC, or lead to your identity or personal information being compromised. Kaspersky Lab will stop most new malware programs even if they have never been seen before, it also comes with easy to use tools such as Rescue CD – which completely cleans infected systems, and System Watcher which is a quick way to remove recent malware and undo any changes and downloads it may have carried out on your PC. For virus detection and clean-up; West Coast gives it additional check mark certifications including detection of Trojans and general mal ware. The most up-to-date Kaspersky technology has also passed all of the last ten VB100 tests by Virus Bulletin. Based on user feedback, the company has also toned down the user interface for the 2011 edition. The main window used to be buzzing with multi-coloured icons representing different security components. Now it includes just a handful of aesthetically-pleasing, simple and discreet but nevertheless clear icons. In terms of virus protection, it also offers easy installation and helpful support features and is specifically designed to install even on mal ware infested systems. Rescue Disks can also be downloaded directly from Kaspersky or users can try the no-installation Kaspersky Virus Removal Tool. Installation was no trouble on my PC and full system scans are achieved quickly. 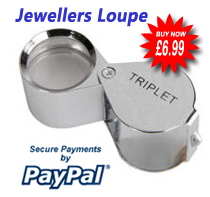 There are also bonus system tuning and privacy features. All of this being the case, and having tried a huge range of anti-virus programmes in my time thanks to the Vine programme, I can't find any reason not to recommend Kaspersky 2011 as one of the very best currently available.